Salman Khan’s brother-in-law Aayush Sharma is all set to make his Bollywood debut with the upcoming film Loveratri. Aayush will be seen romancing pretty ad girl Warina Hussain. The debutants recently shot for their first song for the film and Sharma took his Instagram account to share a picture from the sets. The film went on floors on March 4, 2018 and Aayush will be seen playing the role of a Gujarati boy while Warina will be seen playing a ballet dancer. The story is about how the two meet during Navratri and the love story continues. 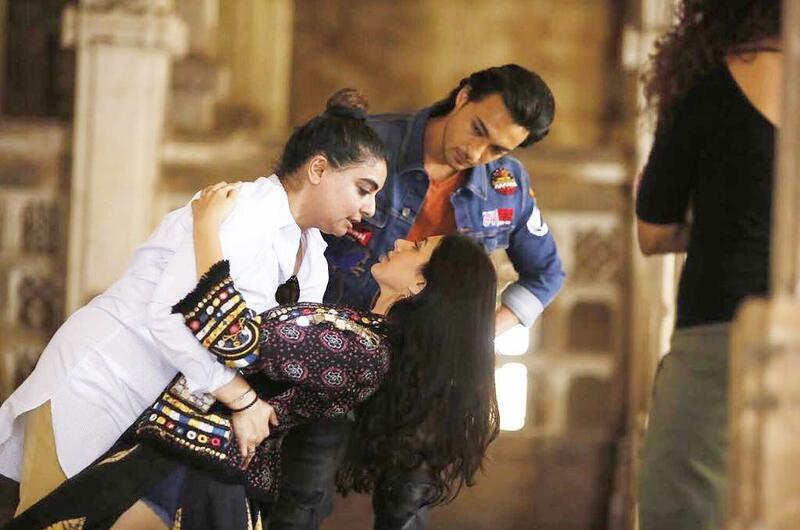 Before the film went on floors, Aayush and Warina were many times snapped rehearsing together. Aayush in an earlier interview was all praises for Salman Khan and said that he has been helpful in learning the craft and has been guiding him. The upcoming actor added that Salman has also been teaching him how to get in to the character and understand it. Loveratri is directed by Abhiraj Minawala and produced by Salma Khan.